Domain Controller sunucusunda Netlogon 5807 Warning görüyorsanız, AD Site and Services’deki subnet tanımlarınızı kontrol etmenizde fayda var. DC’nin herhangi bir site’a konumlandıramadığı kullanıcılarınız var demektir. 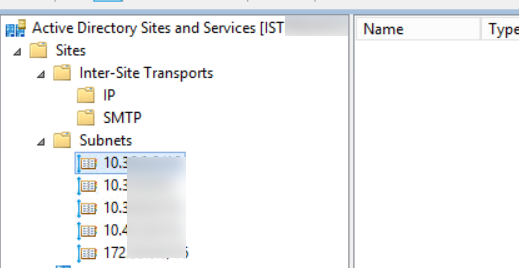 During the past 4.04 hours there have been 18 connections to this Domain Controller from client machines whose IP addresses don’t map to any of the existing sites in the enterprise. Those clients, therefore, have undefined sites and may connect to any Domain Controller including those that are in far distant locations from the clients. A client’s site is determined by the mapping of its subnet to one of the existing sites. To move the above clients to one of the sites, please consider creating subnet object(s) covering the above IP addresses with mapping to one of the existing sites. The names and IP addresses of the clients in question have been logged on this computer in the following log file ‘%SystemRoot%\debug\netlogon.log’ and, potentially, in the log file ‘%SystemRoot%\debug\netlogon.bak’ created if the former log becomes full. The log(s) may contain additional unrelated debugging information. To filter out the needed information, please search for lines which contain text ‘NO_CLIENT_SITE:’. The first word after this string is the client name and the second word is the client IP address. The maximum size of the log(s) is controlled by the following registry DWORD value ‘HKEY_LOCAL_MACHINE\SYSTEM\CurrentControlSet\Services\Netlogon\Parameters\LogFileMaxSize’; the default is 20000000 bytes. The current maximum size is 20000000 bytes. To set a different maximum size, create the above registry value and set the desired maximum size in bytes. DC’de C:\Windows\debug altındaki netlogon.bak log dosyasında detaylı olarak client bilgileri mevcut. 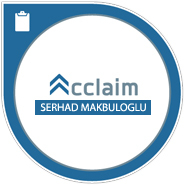 Sorunun çözümü için ilgili subnet’leri AD Site and Services’e eklemeniz gerekiyor. Sonraki yazıWindows Server 2016 Technical Preview 3 Yayınlandı!